What is the amount of protein in chicken meat? 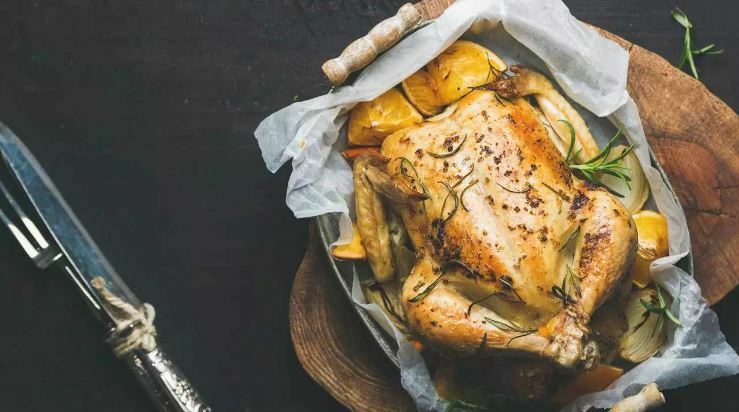 In this article, we will look at the content of grams of protein in chicken such as the chest, thighs, wings, and others. Chicken is a food that is widely consumed throughout the world, so we must know the nutritional content in this poultry meat. For those of you who like fitness, muscle building exercise, chicken is a very important food. The protein content is the main ingredient in the body’s muscle formation. Foods high in protein are good for maintaining a healthy body, increasing muscle mass, and eliminating fat levels in the body. Ok, Grams of Protein In Chicken depends on the part. Chicken meat consists of many types such as chicken wings, thighs, chest, etc. All of them contain different amounts of protein, so it is important to know the amount of protein in each chicken so that the health benefits can be achieved properly. In this article, we will explain how much protein on each chicken in units of grams. This is a part that is much appreciated because most of it consists of meat. Skinless cooked chicken breast with 172 grams contains 54 grams of protein. This amount is equivalent to 31 grams of protein in the size of 100 grams. Not only contains protein, but chicken breast also contains as many as 284 cal calories. That means, in 100 grams it contains 165 calories. Most of these calories come from protein, only about 20% comes from fat. The benefits of chicken breast are not only popular with bodybuilders but also for those who want to lose weight. Chicken is a high-protein and low-calorie food so you can make it big and don’t need to be afraid of calories. The size of a medium chicken breast can produce as much as 54 grams of protein. In 100 grams of chicken breast contains 31 grams of protein. 80% of the calories come from protein and the remaining 20% comes from fat. In addition to chicken breast, chicken thighs are also popular pieces of meat. Even the price is cheaper than the chicken breast. Skinless, boneless and cooked chicken thighs contain 13.5 grams of protein. That is, if the size is 100 grams it means it contains 26 grams of protein. Besides containing protein, chicken thighs also contain other nutrients such as calories. For one cooked chicken thigh it contains 109 calories. That is, in the size of 100 grams of chicken thighs contain as many as 209 calories. More than half or exactly 53% of the amount comes from protein, while the remaining 47% comes from fat. The interesting thing about chicken leg is its rather dark color. In addition to containing myoglobin, it’s rather dark chicken thighs are also more savory and delicious. The not less popular piece of chicken is the drumstick, it consists of two parts, namely leg, and drumstick. The lower part of the leg is called the drumstick or calf. Here also contains a number of grams of protein. One skinless chicken drumstick, and no bones, or about 44 g containing 12.4 g of protein. That is, if the size is 100 grams then the amount of protein is 28.3 grams. Besides protein, chicken drumstick also contains a number of calories. For one drumstick it contains 76 calories. If 100 grams, then it contains 172 calories. This calorie is about 70% derived from protein and the rest from fat. However, most chicken meat eaters consume drumstick and skin. So, the fat content is higher or about 47% of the calories come from fat. It consists of three parts, the drumette, the wingette, and the wing tip. These pieces of chicken are often consumed in the form of snacks. Now we see the amount of protein. One skinless and boneless chicken wing contains 6.4 grams of protein, usually measuring 21 grams. If it is 100 grams in size, it contains 30.5 grams. Just like other chicken pieces, wings also contain calories, this is 42 calories. In 100 grams chicken wings contain 203 calories. 64% comes from protein and the rest from fat. Most consumers eat chicken wings and their skin like a drumstick. If eaten with the skin, the calories are more. One chicken wing contains 99 calories, 61% comes from fat and only 39% comes from protein. If you love this article and want to learn more healthy chicken recipes and benefits, please visit the website:Culinary Lab school.